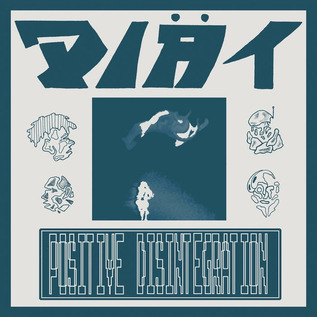 Years in the making, the follow-up or maybe even companion piece to 2015's "Positive Energy", "Positive Disintegration" sees the band with a bit more of a pop zap to the ever present post punk dreariness of modern Berlin life... Or even modern life at large as most of the lyrical content has to do with the monotony of barely getting by or trying to have a meaningful exchange with a remotely interesting person. These things are hard to come by most of the time and this music eats at that very feeling. It's almost enough to make you wanna throw in the towel and move to Spain without a care in the world to haunt your remaining days. You probably won't though, you'll most likely listen to this record while you sip your overpriced room temperature coffee drink whilst ordering new bulbs for your anti depression lamp from a major online retailer. It just feels like life is getting away from you, ya know? Dark. 200 copies on translucent orange, 550 on black 140gr vinyl housed in a 24pt reverse board jacket with lyric sheet, poster and download card included. Recorded at DongXuanProductions. Mastered by Daniel Husayn. Art by Yuta Matsumura and Made Ollosp.